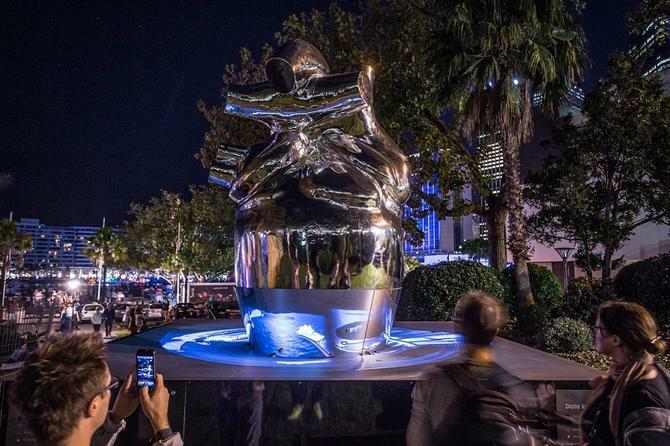 IBM's Heart of the City sculpture. Photo credit: IBM. The vendor is using Wi-Fi signal data coming from the smartphones and tablets of visitors to map and visualise real-time movement around the 40 light exhibitions installed around Circular Quay. According to an IBM spokesperson, these visitor movement patterns are then projected on to the vendor’s lighting sculpture. “It reflects what’s going on at street level. This data reveals patterns that can be used for future planning such as patterns based on times of day, visitor numbers, their dwell time, the direction they headed and the pace they walked at,” the spokesperson commented. IBM’s sculpture uses PresenceZones location-based software and Wi-Fi infrastructure from its business partner, Ruckus Wireless. According to IBM, the wireless signal data is only detected along the Vivid Light Walk, and is fully encrypted. No personal information is captured. This is the first time the vendor has taken part in the 18-day Vivid Sydney festival which runs until 9 June.